We already saw how Excel, Office 365, and SharePoint empowers your team to deliver reports online in this post. 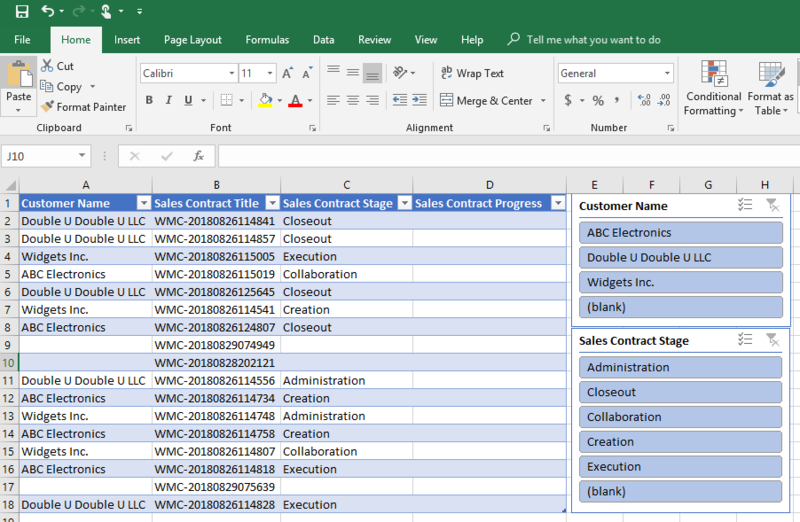 The report example in that post used a pivot table to report on the status of Sales Contract Lifecycle Tasks as they relate to a Sales Contract stage. 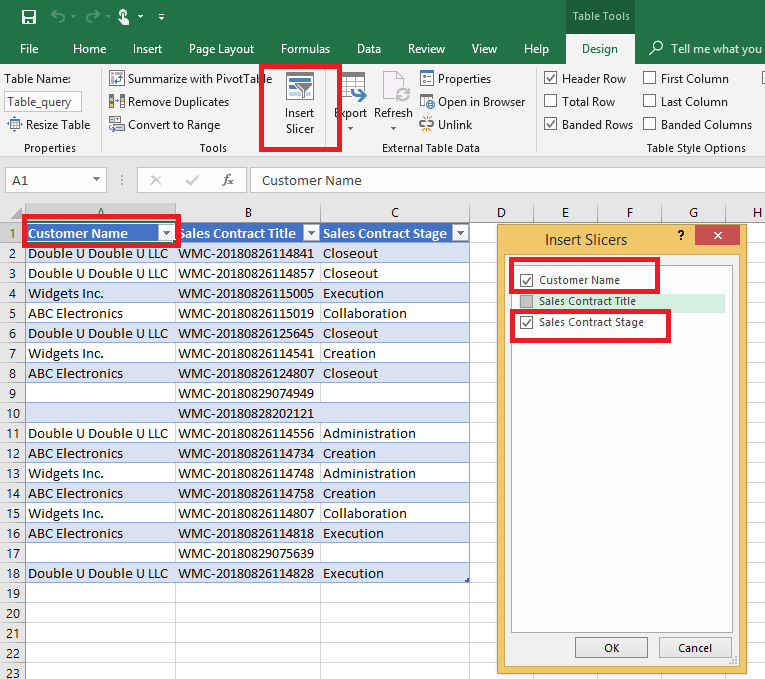 In this post, we’ll see how the Sales team directly targets the Sales Contracts document library to produce a visual and interactive report using Microsoft Excel Slicers and Conditional Formatting for the Contract Lifecycle Management (CLM) system. You can see a video of how to export content from SharePoint to Excel in the Office 365 and SharePoint – Sales Contract Lifeycle Management (CLM) – Reporting with Microsoft Excel post. Navigate to the Sales Contracts document library. Select cell A1 (any cell in the table is fine). Click “Insert Slicer” in the Table Tools > Design tab. Choose “Customer Name” and “Sales Contract Stage” from the “Insert Slicers” dialogue. Add a new column to the right of Sales Contract Stage named “Sales Contract Progress”. We’ll utilize this in the next section to render our conditional formatting. Click the heading for column ‘D’. Navigate to the Home tab in the ribbon. 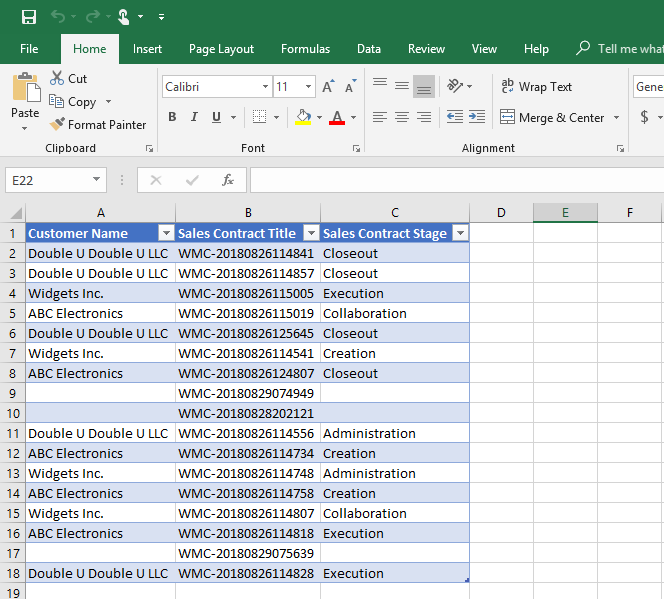 You should have completed the work in Office 365 and SharePoint – Contract Lifecycle Management (CLM) – Reporting with Microsoft Excel post. Having done so, you will already have the “Sales Report Workbooks” document library and the “Visual Reports” page created. That blog also explains how to add and configure the Microsoft Excel Web Access web part on your page in SharePoint. Upload your new Microsoft Excel workbook to the Sales Report Workbooks. Add the Workbook to your Visual Reports page. Another quick win for the Sales team who has used the ubiquitous BI tool of choice, Microsoft Excel, to deliver a powerful, intuitive, interactive, and meaningful report in Office 365 and SharePoint using Excel Slicers and Conditional Formatting.